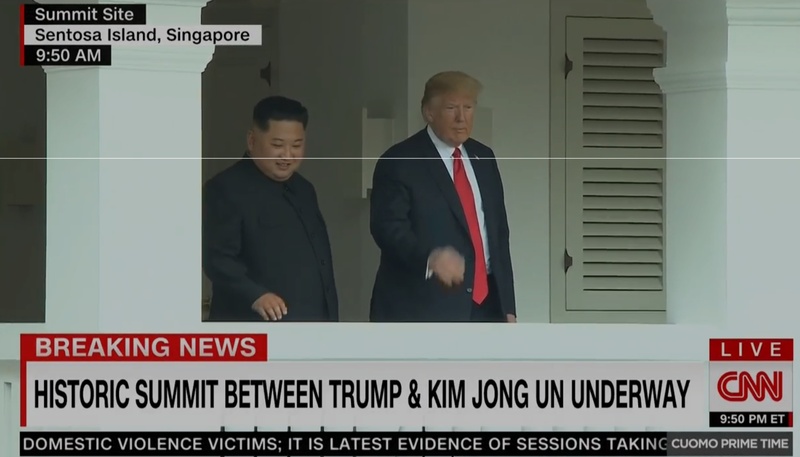 President Trump and North Korean leader Kim Jong-un have just started their meeting at Sentosa Island, Singapore. 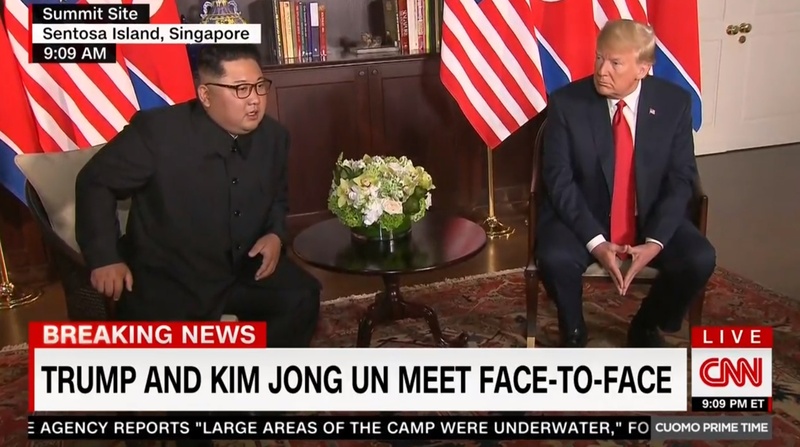 They will now meet one-on-one with just translators and no advisors. The entire meeting between the two is scheduled for two hours. It is not clear when advisors will be brought into the room, if at all. At the start of the lunch. 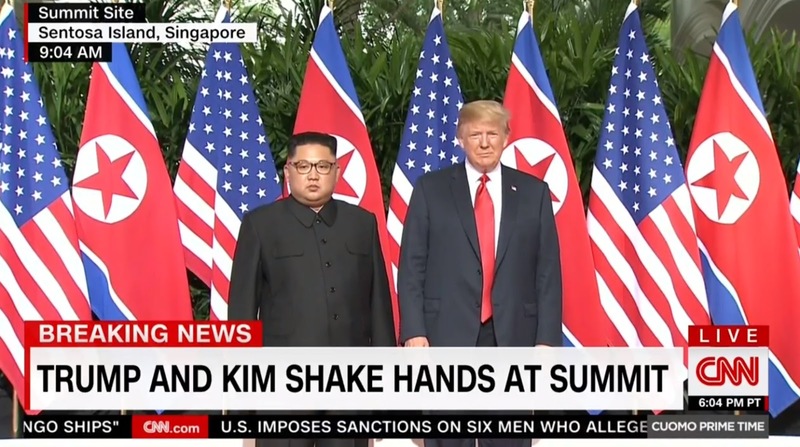 Trump says summit is "going very, very, well." 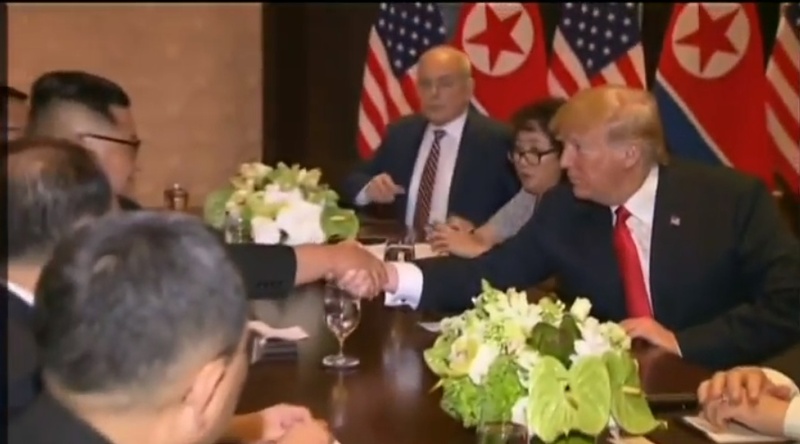 Trump tells Kim at the lunch, "We will have tremendous success." This is yuge, of course. 25 some million people’s lives are hanging on 2 men. Amazing. 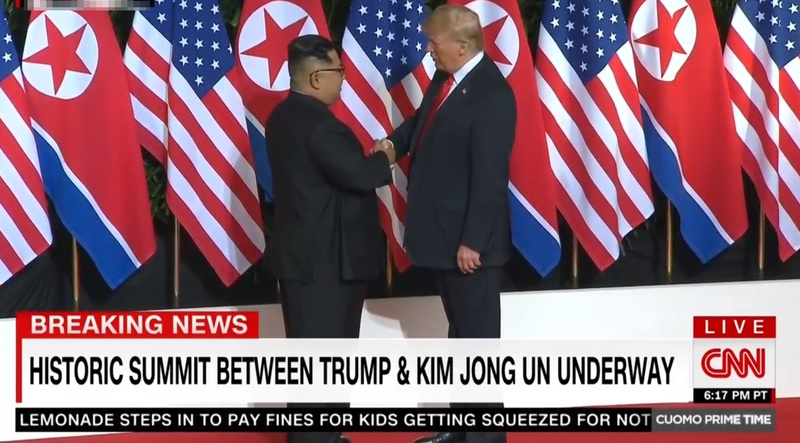 This is one time I am really really hoping Trump does the right thing. Give him the Nobel, anything. Just let us have peace.